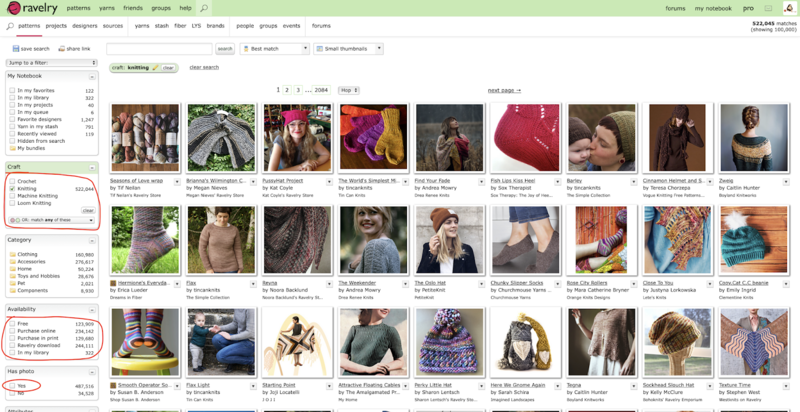 Ravelry is an excellent database of patterns, but I know that it can be overwhelming and hard to use for those new to the site. 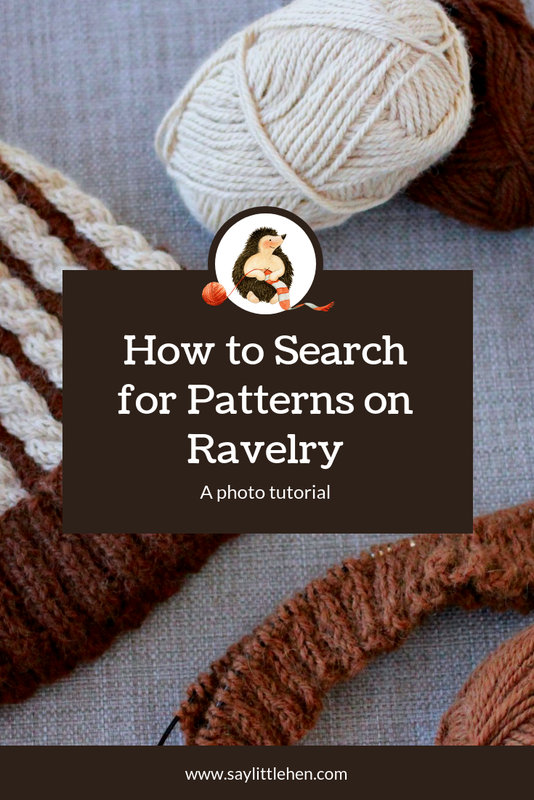 I recommend Ravelry a lot, and often have to explain how to use it to new users, so I thought it might be a good idea to publish a photo tutorial on how to search for patterns on Ravelry. You can click/tap the images to make them bigger. 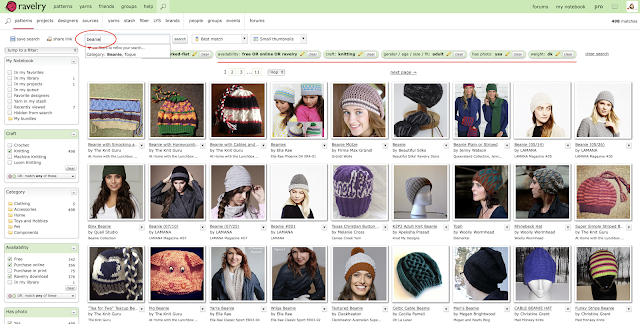 Step 3: This is where the excellent functionality of the Ravelry search comes in. 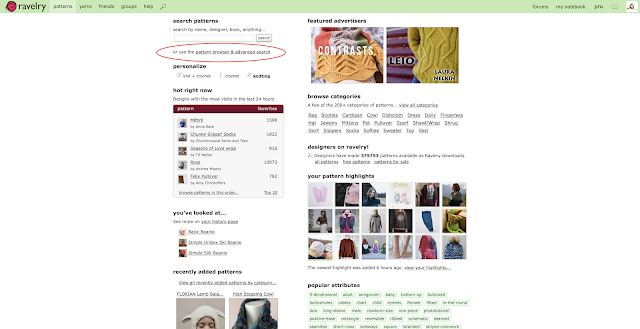 Customise your search based on your skill level (or what level of complication you feel like tackling), pattern availability, constructions techniques, the weight of yarn used and more. 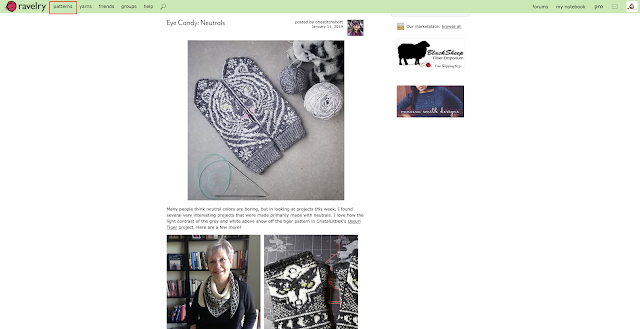 I've also highlighted the Photo box - I always tick "Yes" so that I can see an image to match the pattern. 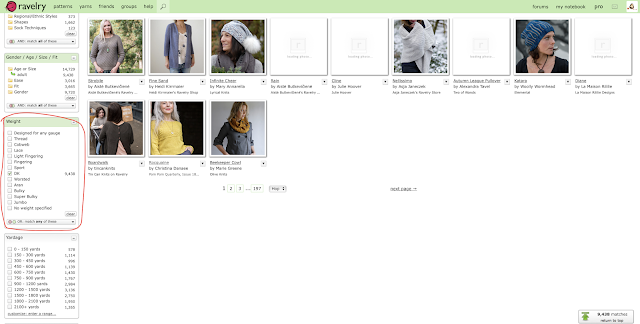 Step 4: Continue scrolling down the side to select what features you want. You can tick as many boxes as you like to really refine your search. Step 5: I've continued scrolling down in my search to choose what weight of yarn I want to see patterns for - this is an excellent search feature if I'm trying to find a pattern for a specific yarn. You can select multiples of these. 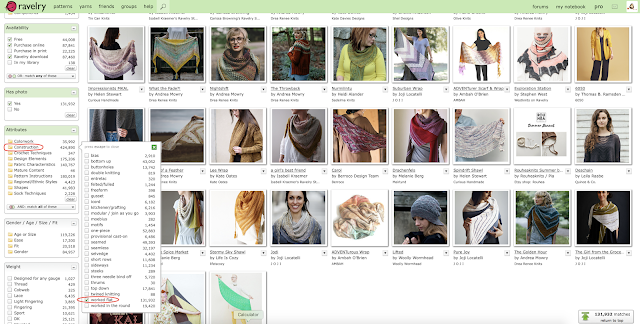 In the search, I've simply selected "DK" so I'll only see patterns that use DK/8ply weight yarn. Step 6: Finally, after you've selected all of the filters you'd like, you can see them at the top of your search. It's easy to remove or change one if you want to. You can also change your search in the search bar (circled below) without your filters being cleared - super handy! Now all that remains to do is to look through your search to see what patterns grab your eye. To access a pattern page, simply click on the image or title. I hope you've found this tutorial helpful. If you have any questions, please feel free to leave them below and I'll do my best to answer them!